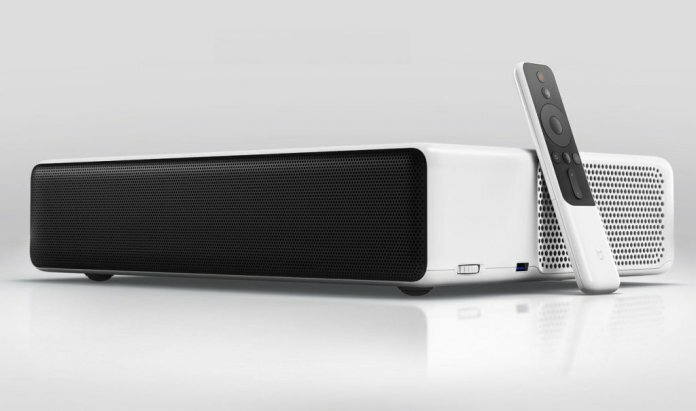 We have talked about the Xiaomi projector with a possible projection with a diagonal of up to 3 meters. The deadline for the press conference was set for June 28, and today is confirmed. The Xiaomi Mi Laser Projector offers interesting parameters. The product was unveiled during Xiaomi MIJIA’s annual conference held in Beijing. Step by step, the Chinese manufacturer continues its slow expansion into other consumer electronics segments. In this case however it does not target “low-budget” devices, but offers a high-end projector for advanced users. Because of that the price is not low, but still for this kind of projector is ok.
For this amount, it will offer an innovative projection comparable to the quality you would expect in the cinema. 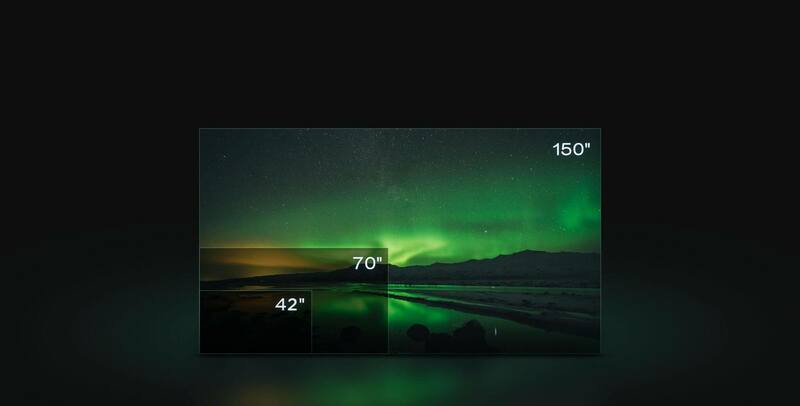 The Xiaomi Mi Laser Projector has a 0.233 : 1 sharp depth and uses a short focal length lens. 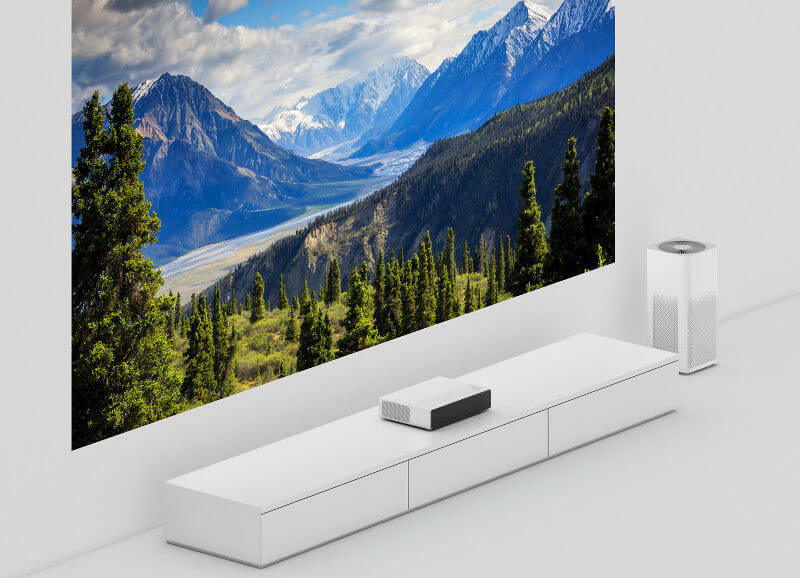 The Xiaomi Mi Laser projector has a very compact design, yet it can create a 150 inch or 3.81 meter image on the wall. This size is enough to keep the projector 50 centimeters away from the wall or screen. Another parameter is a light flux of 5000 lumens, with the estimated lifetime of 25,000 hours, almost three years of continuous operation. So, if the owner leaves a two-hour film every night, the projector can be used for 34 years. The sound is provided by the Xiaomi TV speaker system with built-in high-performance and high-quality speakers. The audio system supports three kinds of external sound. The projector Mi Laser is thus supposed to be able to provide audiovisual experiences at the cinema level in the comfort of the living room. In addition, it comes with all the content available for the Xiaomi Mi TV. The laser projector has its own remote control that supports the Xiaomi universal remote control.